systems are needed and will improve health worldwide. these health systems—in positive and negative ways. This call brings with it the risk of too much analysis. should take place in tandem. organisations, researchers, and large donors. connected with global health is, simply, better health. We thank Evan Russell for his suggestions on early drafts of this Comment. sign-onto-the-call-for-ghsias (accessed July 1, 2009). 2 The NGO code of conduct for health systems strengthening initiative. http://ngocodeofconduct.org (accessed May 4, 2009). 3 Global HIV/AIDS initiatives network database. Nov 16, 2007. http://www. ghinet.org/database.asp (accessed May 4, 2009). publications/detail/16459 (accessed May 4, 2009). capitalizing on the opportunities. Am J Public Health 2005; 95: 18–22. 6 OECD. Harmonising donor practices for effective aid delivery. 2003.
the need for a new model of collaboration. Soc Sci Med 2003; 56: 725–38. 8 Loevinsohn B, Aylward B, Steinglass R, Ogden E, Goodman T, Melgaard B.
eradication initiative. Am J Public Health 2002; 92: 19–23. countries. Int J Health Plann Manage 2003; 18 (suppl 1): 27–39. evidence from HIV/AIDS control. Health Policy Plan 2009; 24: 239–52. country health systems. Lancet 2009; 373: 2137–69. 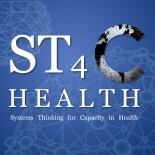 13 Health Systems Action Network. Global leaders views on HSS. 2005.
http://www.hsanet.org/speakout.html (accessed May 4, 2009). 14 Atun RA, Lennox-Chhugani N, Drobniewski F, Samyshkin YA, Coker RJ. example. Eur J Public Health 2004; 14: 267–73. 15 WHO. Health systems topics. Geneva: World Health Organization, 2008.
http://www.who.int/healthsystems/topics/en/ (accessed May 4, 2009). 16 Cole BL, Shimkhada R, Fielding JE, Kominski G, Morgenstern H.
Methodologies for realizing the potential of health impact assessment. Am J Prev Med 2005; 28: 382–89. 17 Islam M, ed. Health systems assessment approach: a how-to manual. Manual_Complete.pdf (accessed May 4, 2009). 18 WHO. Toolkit for monitoring health systems strengthening. 2009. AIDS, Tuberculosis and Malaria: a conceptual framework. October, 2003. This entry was posted on July 3, 2009 by chads in Uncategorized.